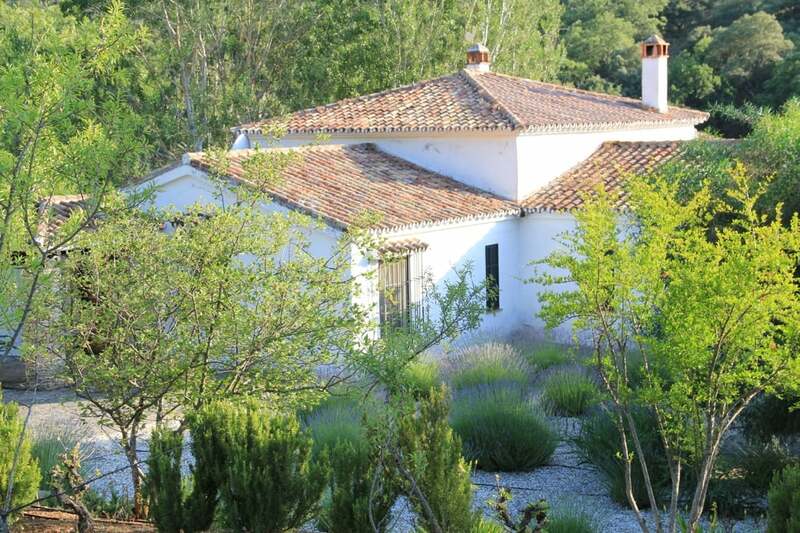 La Cazalla, in Andalusia, is an idyllic luxury villa rental for large groups set in a breathtaking valley, minutes from Ronda and close to Seville, Córdoba and Granada. This unique villa has been featured in magazines such as Conde Nast Traveller, and it’s unmatched beauty and connection with nature make it truly special. 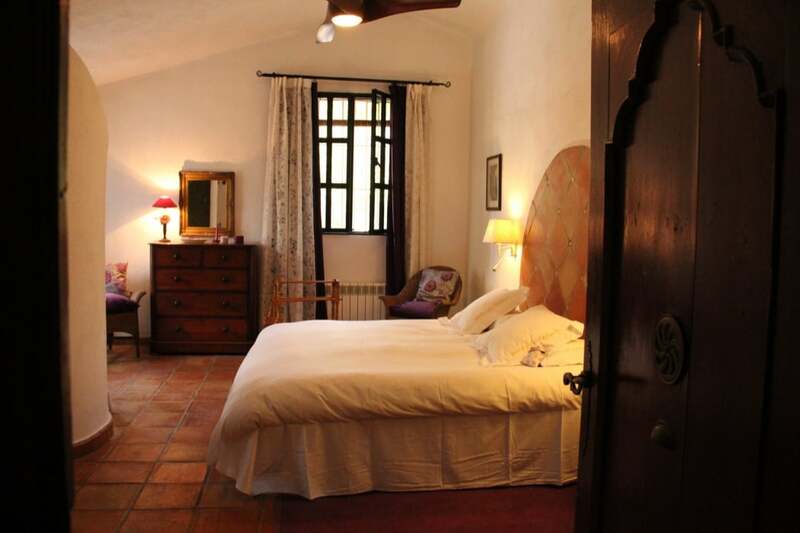 We love the fact that the owners grow their own organic olives, pears, figs, citrus fruits, walnuts and almonds, quince, persimmon, blackberries and raspberries and lavender, and leave scented sachets under your pillow for a relaxed and a good night’s sleep. We love enjoying a secluded morning coffee by the sparkling turquoise pool as the sun comes up over the mountains, and a glass of wine in the warmth of the evening as the sun sets and with our family around us. 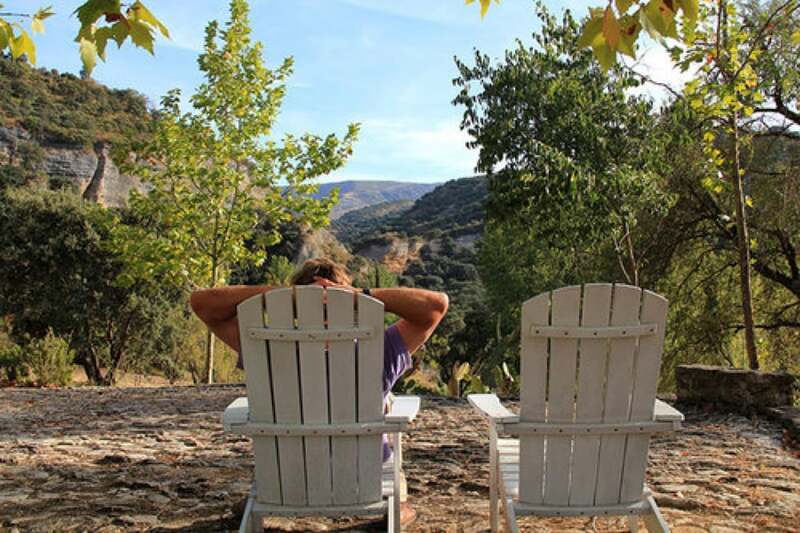 La Cazalla is a wonderfully private Andalucían hideaway, set in one of the most beautiful valleys in the Serrania de Ronda. 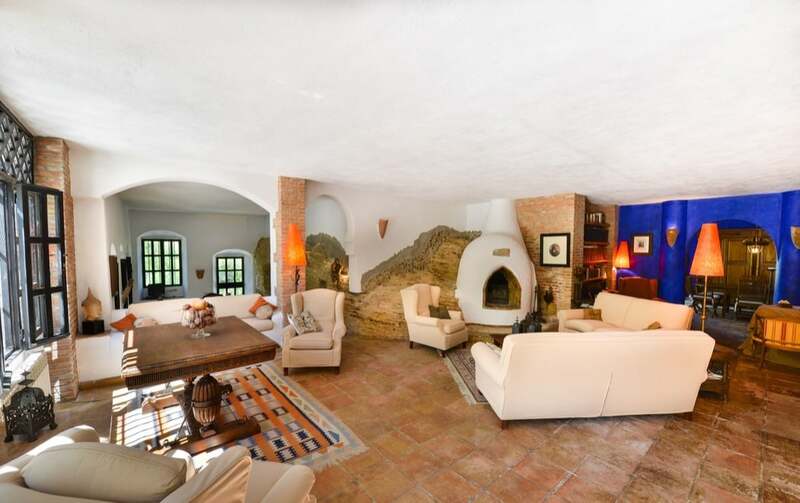 This rustic-style villa is hidden up at the end of a track, just outside the old town of Ronda. Ancient, oak-forested hills rise in front of the villa. Behind, the dramatic cliffs of the Tajo Del Abanico (‘the Gorge of the Fan’), loom in the distance, marking the southern end of the Ronda valley. 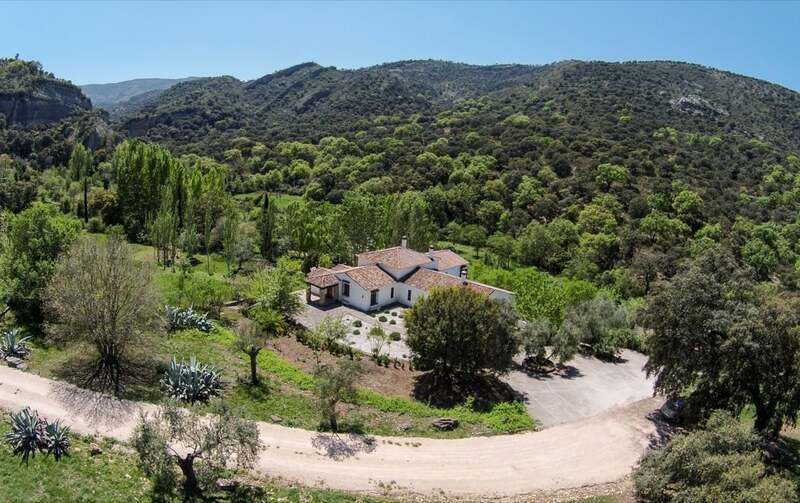 Athough this beautiful villa is hidden, it is not difficult to get to, being just 95 km to Malaga, Seville or Jerez Airports. Ronda Train Station is just 5km away. 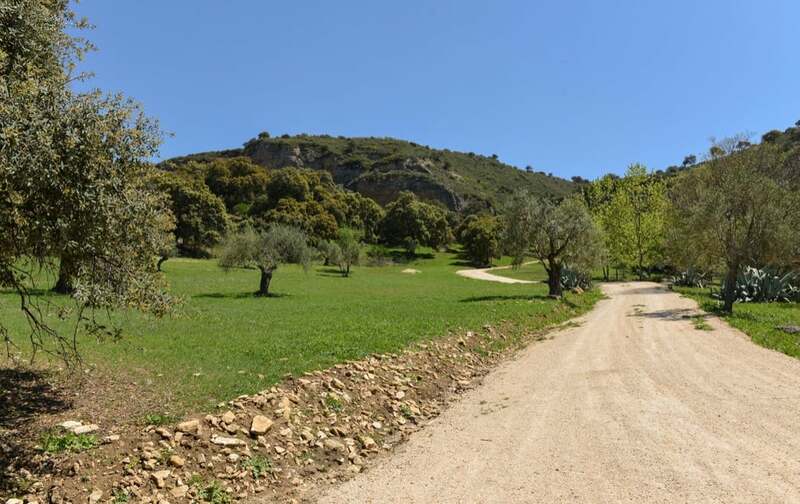 For those that insist on hopping in the hire car to explore, though I see very little reason to leave this tranquil idyll, you can visit the pretty ‘Peublos Blancos’ (‘white villages’) nearby. Further afield the cities and UNESCO World Heritage sites of Granada, Seville and Cordoba are all around 2 hours drive from Ronda – perfectly feasible as day trips to discover the fascinating heart of Andalucía. In the opposite direction, 45 minutes away on the Mediterranean coast, lies the glitz and glamour of Marbella and Puerto Banus. 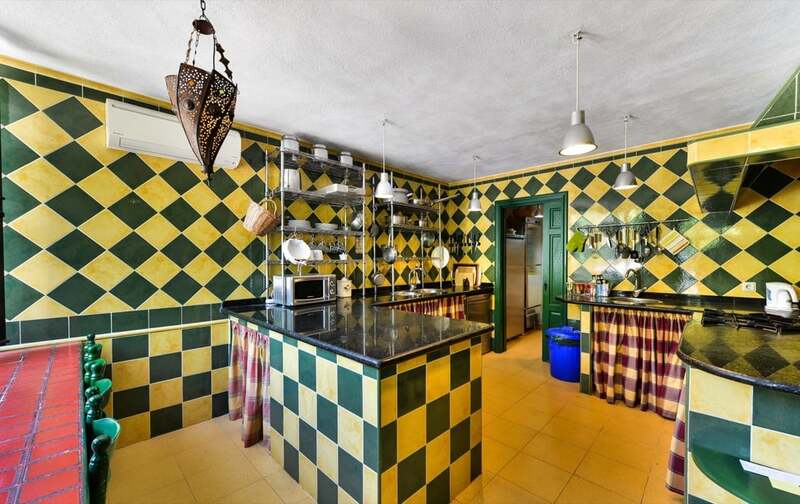 The main house and surrounding buildings of this luxury holiday rental have been carefully and stylishly restored to reflect its Andalucian and Moorish history. Many ancient artefacts from the original farm buildings have been retained and the sprawling living areas are truly unique, having been built around the native rock (see photos above). 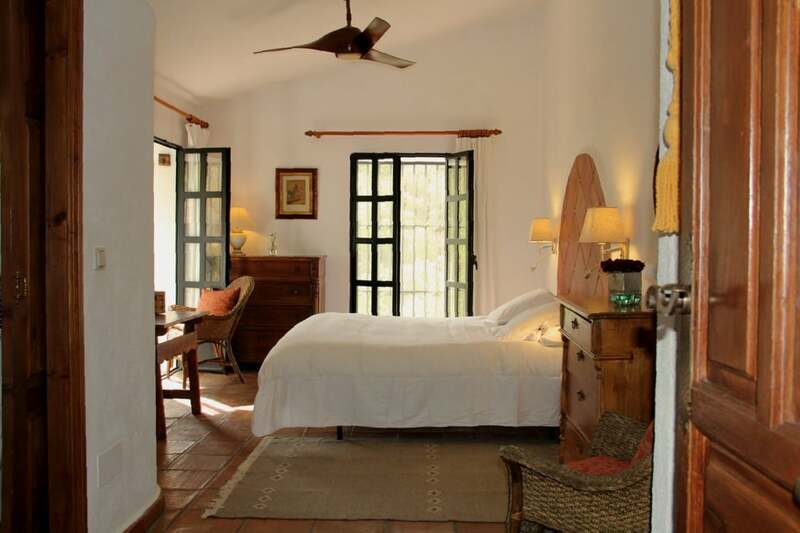 With a total of six bedrooms, this rustic idyll is perfect for families and large groups of friends of up to 12 people looking for a private villa in Andalucía. The main house is elegant, cool and spacious, with three tastefully-furnished living areas on split levels, a kitchen and a dining room, providing plenty of space to read, play card games, watch a film or listen to music. Sleep soundly in the six double bedrooms with en suite bathrooms containing beautiful mosaic tiled walk-in showers with adjustable mood lighting and Molton Brown toiletries. And yes, there is WiFi! 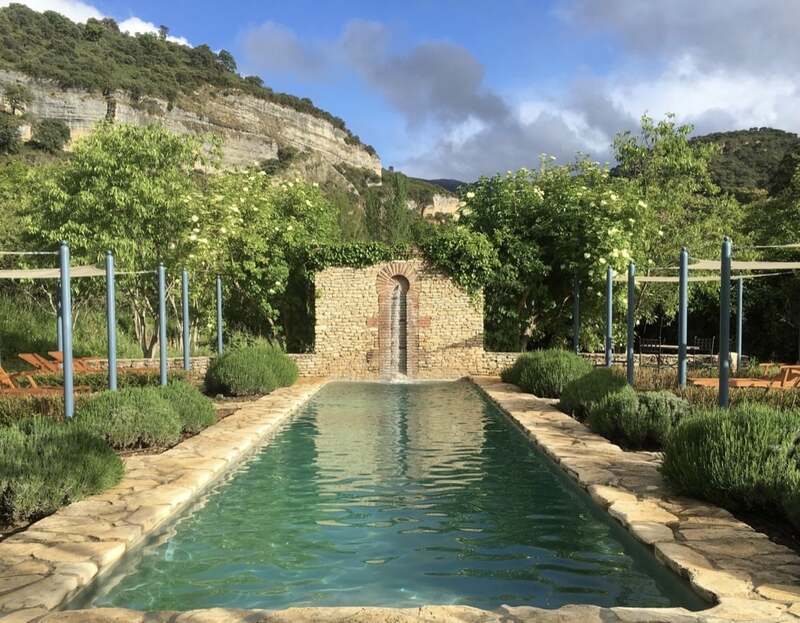 This villa has the most wonderful pool, bordered by lavender bushes and twinkling next to meadows, which children (and adults) can run through, under the shade of the olive trees. The loungers, which sit next to the pool, are thoughtfully shaded by pretty canopies. Alternatively, you can pull them into the garden and lounge under the gnarled branches of the many aged olive trees. 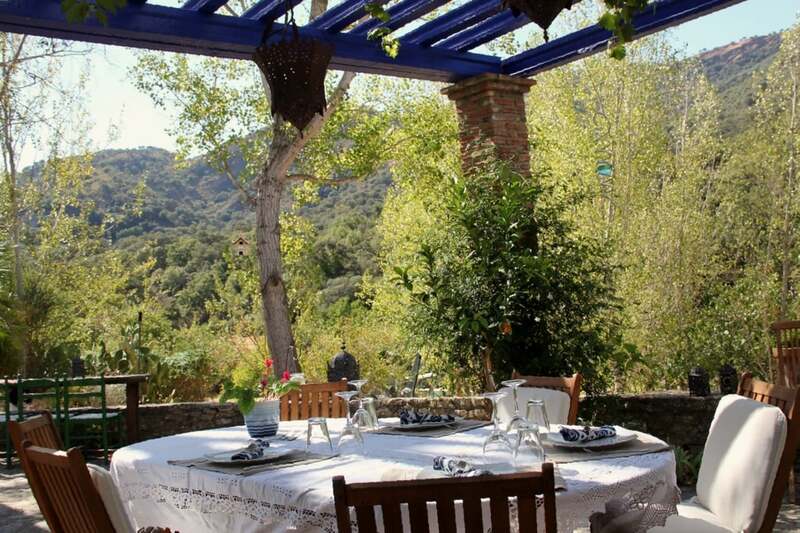 Vast patios to the side of the house offer numerous tables to enjoy a tea in the shade, or an extravagant Spanish-style family evening meal with music and dancing (if you wish!). Each secluded spot is framed by incredible views. Wherever you laze, wonder or graze, the lavender makes the air throb with sweet smells around the property. Luxury touches include a housekeeper who comes every day for 2 hours to make the beds, clean the bathrooms and keep the house looking lovely during your stay. A gardener also cleans the pool daily and keeps the terraces and grounds looking effortlessly tidy. 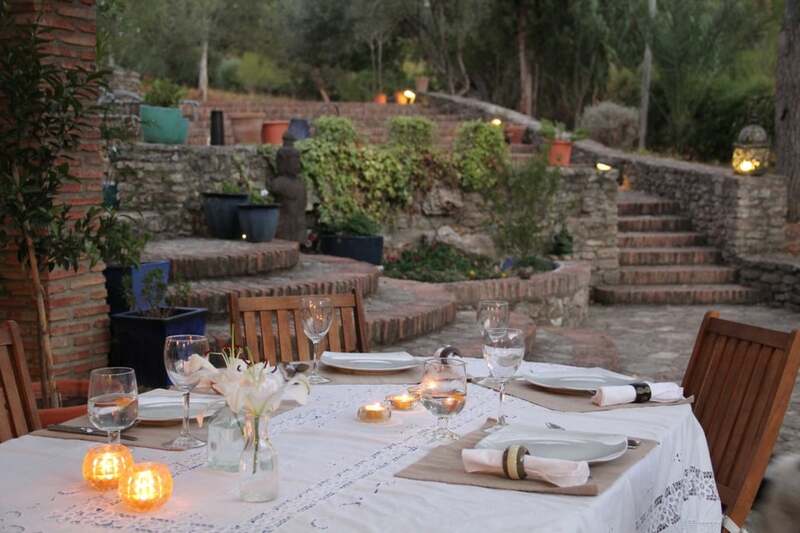 The hosts can provide a private gourmet chef service for personal, in-house dining along with unrivalled access to a refined network of local contacts that arrange anything from private tastings and “show cooking” demonstrations, to private Flamenco performances and workshops. They can even bring a little spa pampering right to your doorstep, nothing is too much trouble.